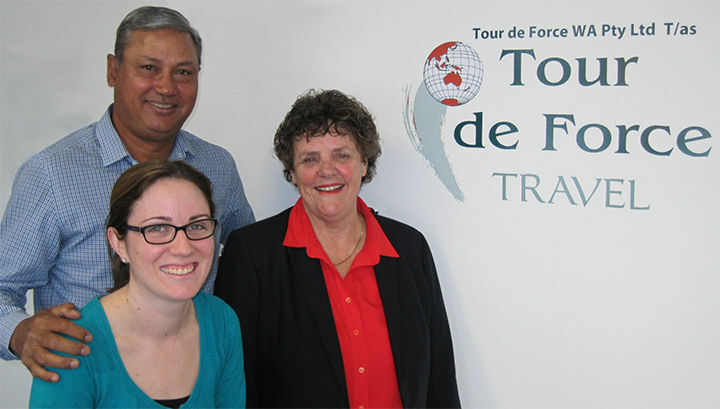 Tour de Force Travel started trading 16 years ago in the beachside suburb of Marmion. From small beginnings and armed with a passionate vision and goal to provide a travel experience that was second to none. Our dedicated and hardworking group of consultants went from strength to strength and over time enable us to recruit a team of travel specialist with decades of travel experience who steadily grew our client base. It didn’t take long for our unfailing and exceptional service to be recognised by our peers and we started to win industry awards for excellence. Our greatest reward however is to retain happy clients who return year after year to book their well-earned holidays and their continual referrals to friends and families. Our ground breaking move to join forces with two other of Perth’s most respected travel agencies is an innovative new venture that will see us tackle head on the issue of rising costs. We have relocated into new shared office in Carine Glades and it has shaken up our industry. I am proud to say we will all be recognised in the future as trend setters with this bold exciting venture and I am sure that many other will follow our lead. Tour de Force Travel has always used the tried and true method of always putting our customer’s needs first by using our knowledge expertise to make sure their holiday is as perfect as their expectations. There is no substitute for Tour de Force service!